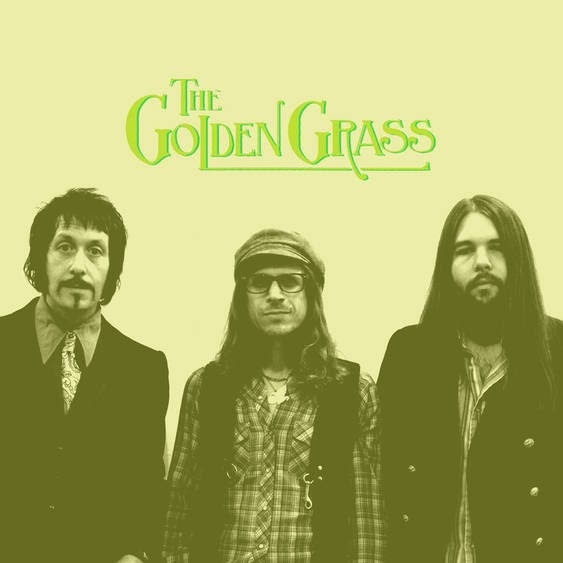 The glory of American hard rock has returned with the debut eponymous album by THE GOLDEN GRASS, set for international release on May 9th via SVART RECORDS. This Brooklyn-based power-trio is the real deal, and their LP harkens back to the golden age when heavy rock music was upbeat, skillfully played, energetic, edgy, and bursting with goodtime sunshine vibes. They come hard with a strong backbone of deep-pocket funky flare and an earnest/uplifting southern/country/mountain rock vibe, layered with waves of psychedelic textures that explode into jaw-dropping proto-metal moves. And throughout their progressive arrangements and timeless grooves are lush and powerfully delivered vocals, stacked with gorgeous harmonies and maddeningly catchy verses and choruses singing the tales of real-life loves, losses, and the drive to keep on keepin’ on!